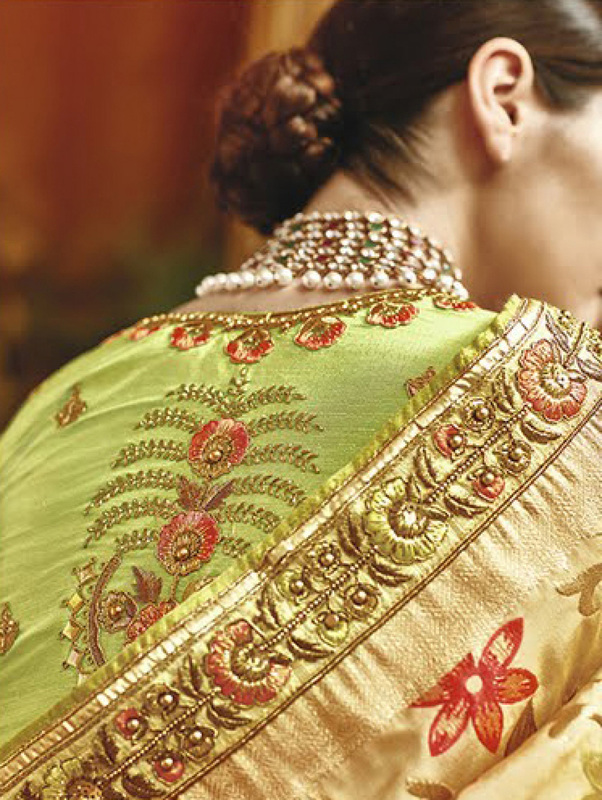 Introduce new extend of trend to the new generation with this light green designer saree. 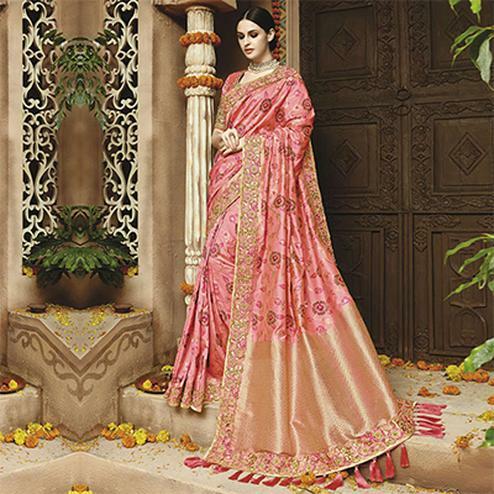 It's divine designer saree is decorated with weave embroidery and patch border. 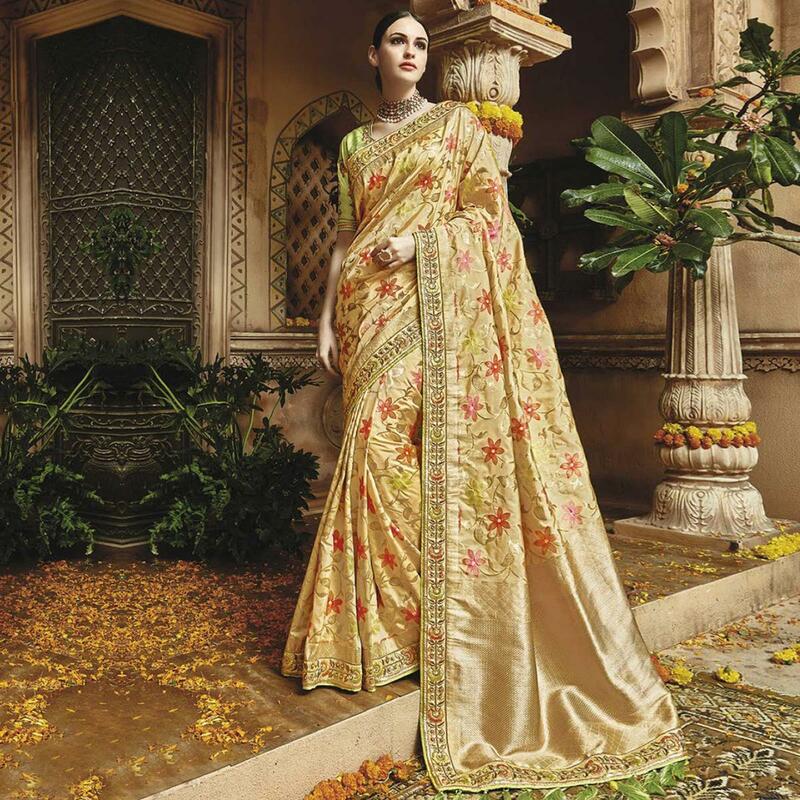 This saree is made of silk jacquard accompanied with an unstitched raw silk embroidered blouse. Pair it with traditional accessories to make your look more beautiful. Perfect for wedding bridal and ceremonial. Buy this saree now as it's a unique piece with attractive color combination which is rare to find.